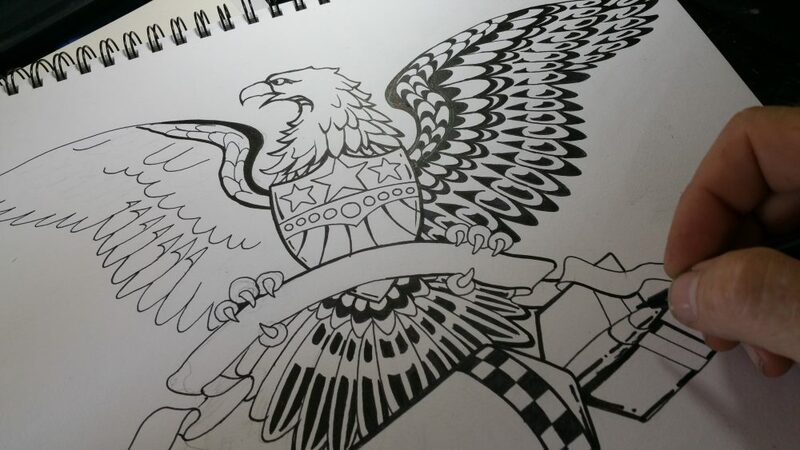 Shawn Wilken | Old school Sailor Jerry tattoo design. 30 Sep Old school Sailor Jerry tattoo design. by taking a concept of his and changing elements and adding some more elements. i came up with this for a client. he picked the elements he wanted. I put it all together. and the result is what you see.